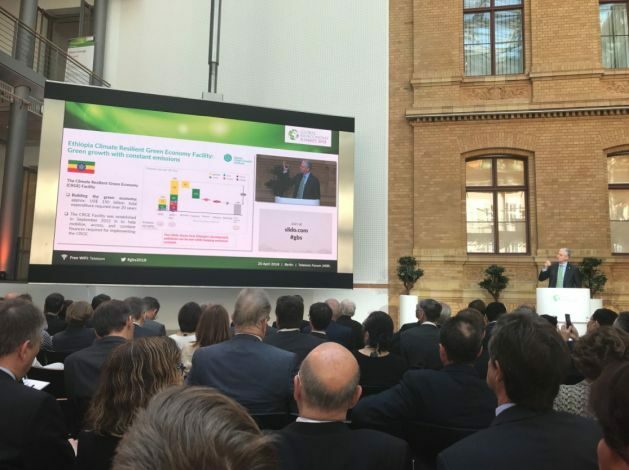 Apr 24 2018 (IPS) - On April 19-20, I attended the second Global Bioeconomy Summit in Berlin. Bioeconomy is currently a hot topic for scientists and policymakers. Rapid advances in molecular biology combined with big data and artificial intelligence have resulted in big jumps in our understanding of living organisms as well as organic matter, the biomass produced by plants and animals, at the level of their DNA. That has gone hand in hand with technologies that allow scientists and industry to manipulate, easily, everything from enzymes to bacteria to plants and animals. This forest was in part conserved as a result of the 53-year existence of the Revolutionary Armed Forces of Colombia (FARC), who enforced limits on logging by civilians – in part to protect their cover from air raids by the government army. After the 2016 peace agreement the forest now is opened up – will it be deforested, or can there be new bio-businesses created that generate forest and agricultural products and sustainable livelihoods while conserving the ecosystem? Can bioenergy strengthen the world’s energy security? No, that is unlikely. There just isn’t enough biomass available to do so sustainably, without competing with other uses, from food (for sugarcane or corn) to maintaining a healthy soil (for agri-waste). In addition, for many of GGGI’s Member and partner countries the traditional bioeconomy, agriculture and forestry, is still the backbone of the economy and responsible for 60-70% of employment, from Ethiopia to Senegal, Burkina Faso, Rwanda, Laos and Myanmar. For all these countries innovation that significantly increases the value addition of their agricultural products, sustainably, or uses waste products smartly, will be critical to create the decent green jobs. It will be important for these countries to spot the opportunities early – to leapfrog their development rather than risk getting left behind.